A plugin is a computer program that integrates into another program adding new features and increasing functionality of the software. Adobe lets you install plug-in filters from other software developers in its programs. In this tutorial, you will learn how to install plug-in for Photoshop through a fairly simple way. First of all, you need to search and download the plug-in you’re looking for. For example, here we would be searching for a plug-in that allows Photoshop to save the output in the icon file format, an option which isn’t available by default. 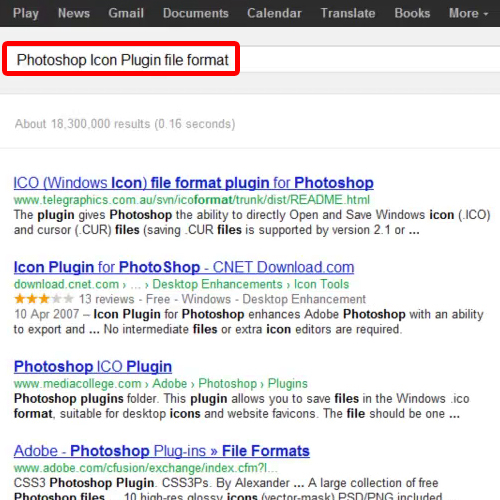 So we start by searching “Photoshop Icon Plug-in file format” and browse around to find the right plugin. You should download the plug-in according to the system you are running. For example here, the software is available for both Mac and windows. Furthermore, you have to determine whether you are running a 32-bit windows or 64-bit. The installation will vary according to the system you are running. 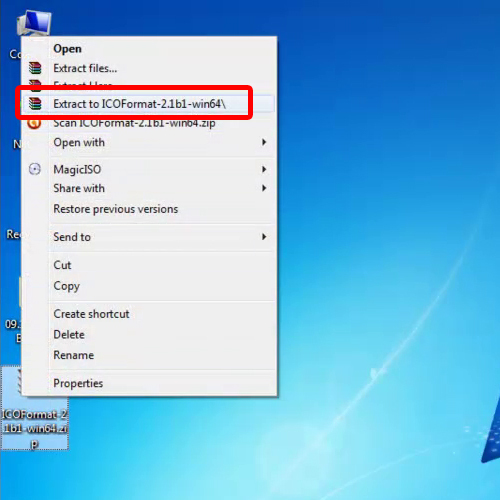 Once downloaded, unzip the folder and copy the .8bi (dot eight B I) file. You can do so by pressing “CTRL C” on the keyboard or right clicking on the file and selecting the “copy” option. Once done, browse and locate the folder where Photoshop has been installed in your hard drive. Since we have downloaded the plug-in for the 64bit version, we will be pasting the file accordingly. 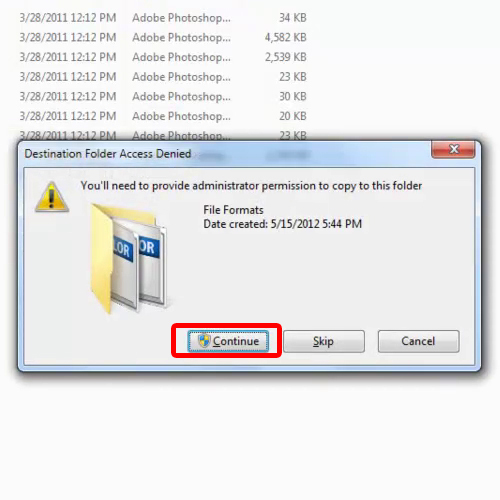 Open up the “Photoshop folder”, move to the “Plug-ins folder” and enter into the “File Formats folder”. Once done, paste the copied filer over here. After you install plug-in for Photoshop now open up Adobe Photoshop, start a new document and save the file. 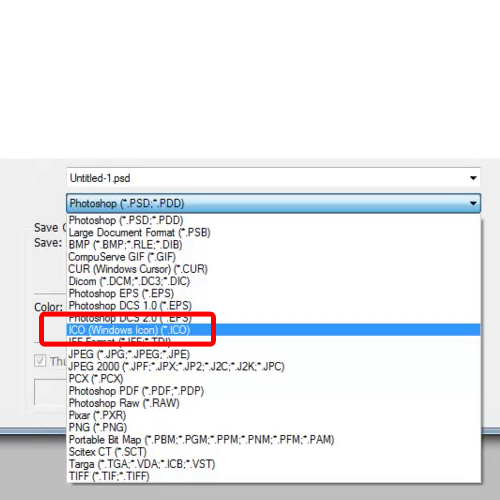 From the file format menu, you can see that now Photoshop allows you to save the output in the icon file format.